The Kruger National Park is just 40 minutes away, and we are ideally located from which to discover the Panorama Route&apos;s Bourke&apos;s Luck Potholes, God&apos;s Window, Pilgrims Rest, and Sabie. The Kruger Mpumalanga Airport is only 15 minutes away. The room with separate entrance faces into the garden with queen size bed, Satellite TV, ceiling Fan, Coffee & Tea facility, hairdryer, en-suite bathroom with separate bath and shower as well as two basins. This room features 2 Twin beds which can be made into a king bed on request, air conditioning, ceiling fan, coffee/tea facilities, satellite television, DVD player, minibar, en-suite bathroom with shower, basin and toilet, sitting area, wi-fi. 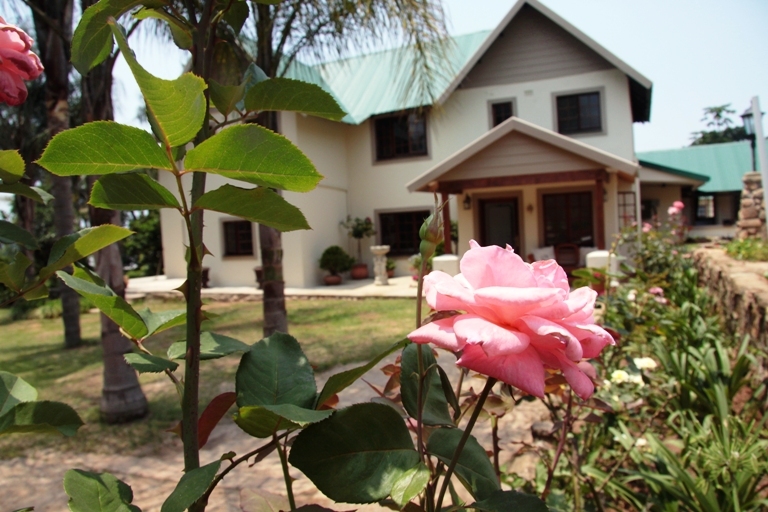 The Family Cottage consists of Bedroom with Queen Bed, en-suite bathroom with separate tub & shower, double basins, a double sleeper couch for 2 children, Satellite TV, DVD Player. Hairdryer, Coffee / Tea facility, Bar Fridge, Ceiling Fans in both rooms. The Deluxe King Room, with king bed and single bed for a child, is on the first floor overlooking the garden. It has en-suite bathroom with shower and double basins. Satellite TV, DVD player, ceiling fan, Coffee / Tea facility, hairdryer, sitting area. The smaller queen room on the first floor overlooks the garden with a queen bed, En-suite bathroom with shower and double basins. Satellite TV, DVD Player, air conditioning, ceiling fan, Coffee / Tea facility, hairdryer, minibar, WiFi. The Luxury Queen Room with Lounge has a sleeper couch for a child, air conditioner, fridge, patio, coffee/tea facilities, satellite television, en-suite bathroom with separate tub and shower, basin and toilet, sitting area, Wi-Fi.